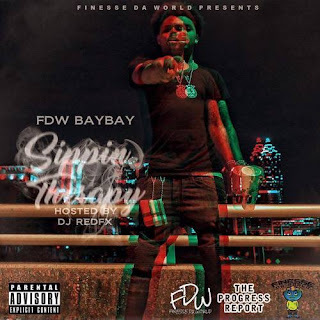 With over 5 years of experience, BayBay recently released his debut EP, Sippin Therapy. The project is hosted by DJ Red RX and features CMG acts, MoneyBagg Yo and Blac Youngsta, Young Scooter, and fellow rising Cincinnati artist, Cook Laflare. BayBay has several music videos online, all of which reach over 30k views apiece. He plans to release visuals for his singles, “Dirty Money” and “Never Loved Us” sometime next month.